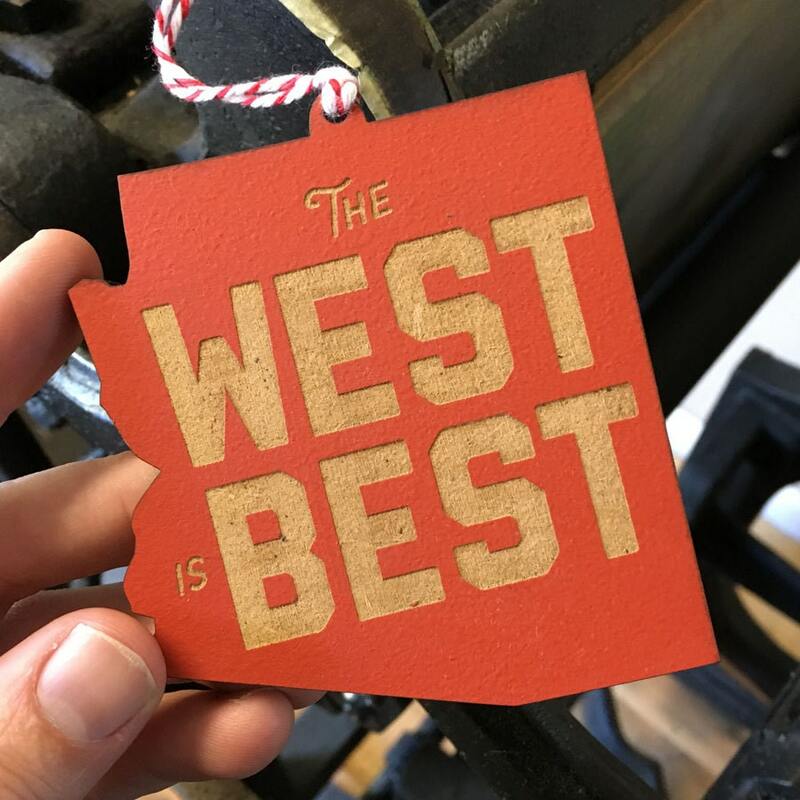 Show some local AZ pride sporting this West is Best wooden Christmas tree ornament. A collaboration between Jon Arvizu and Citizen Home Decor. 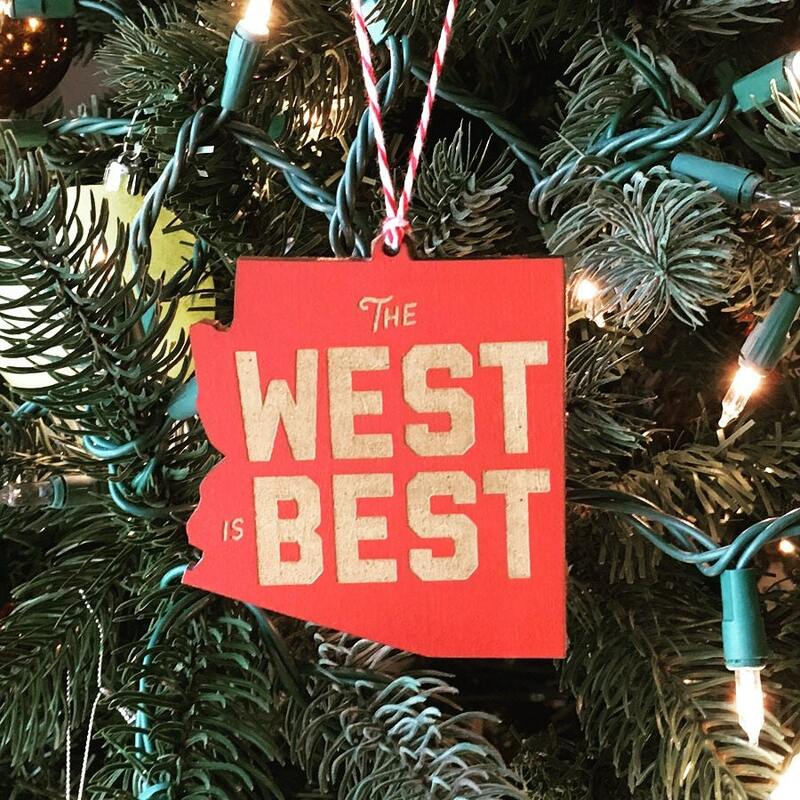 a limited edition of 100 ornaments were created and hand painted by Citizen home decor to provide this touch of the west for your holiday tree. 3"x3.5" laser engraved wood, hand painted and finished. Love this ornament and super fast shipping.